Are y’all ready for some of the Best Skinny Dessert Recipes on the Internet?! These are some of my very favorites. They are indulgent, delicious, most of them are easy to make, and they are all low calorie, low fat, or low sugar. This round up of the best skinny dessert recipes speaks to my soul. If there is one thing I like to do, it’s to have my cake and to eat it too. In other words, I have lived my whole life wanting there to be an even balance between being fit and feeling good about my body, while still getting to enjoy delicious desserts. 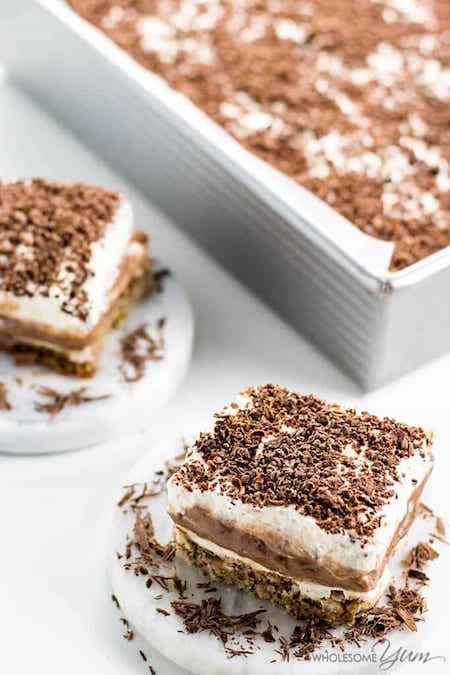 Thanks to the brilliant ideas of some fellow food bloggers, these truly are some of the very best skinny dessert recipes that you can find. Let me know which ones are you favorites! 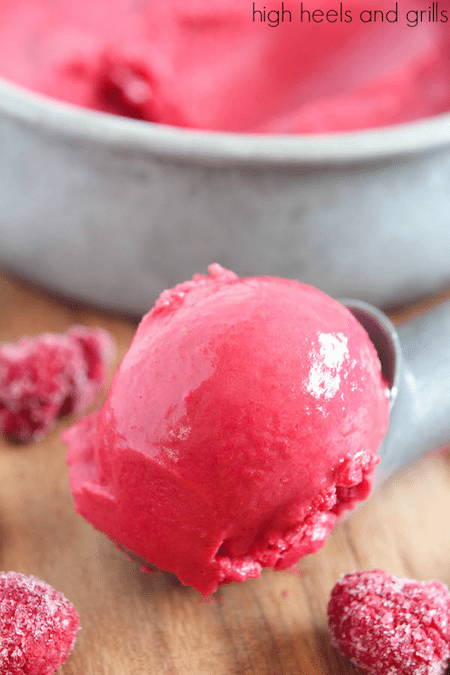 Skinny Raspberry Frozen Yogurt – This is at the top of my list of best skinny dessert recipes! 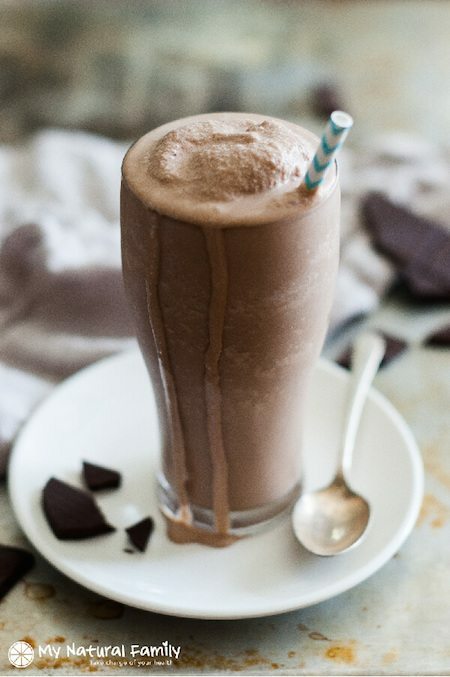 It has only 4 ingredients and is so smooth, creamy, and feels indulgent! 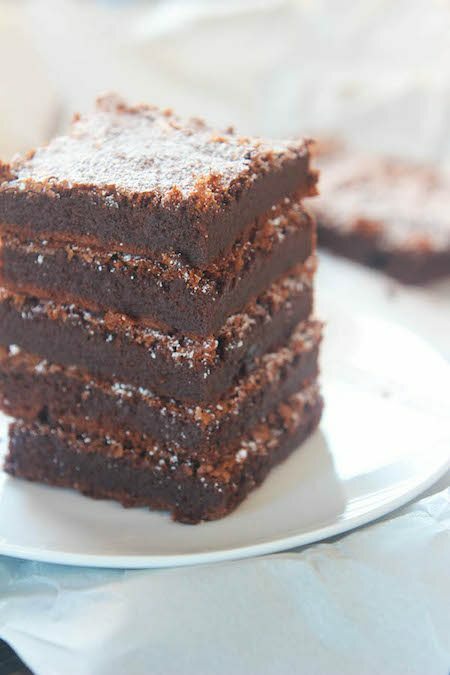 2 Ingredient Nutella Brownies -Yep, only two ingredients. Pair it with the frozen yogurt above and you have a super easy, super delicious dessert! 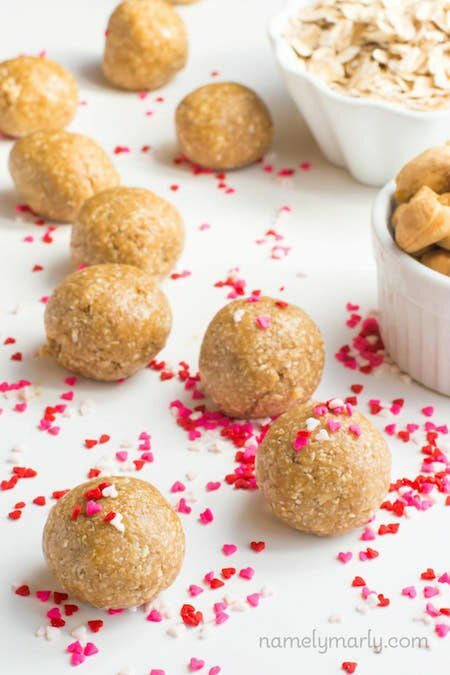 Skinny No Bake Sugar Cookie Energy Bites – The taste of sugar cookies, but packed with energy boosting ingredients? Yes, please! 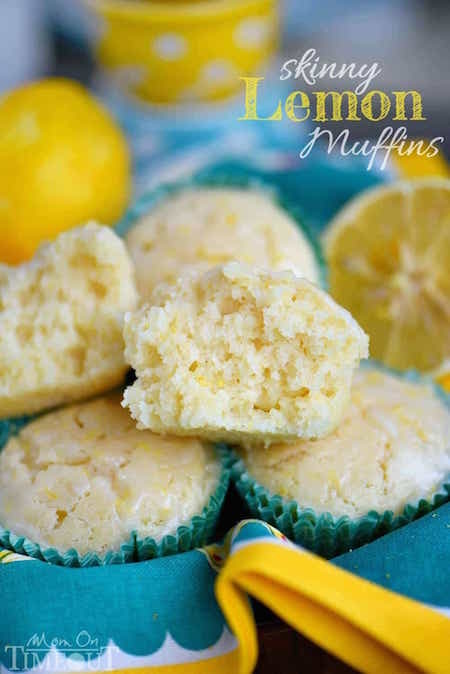 Skinny Lemon Muffins – The glaze on top, alone, makes me want to make these. 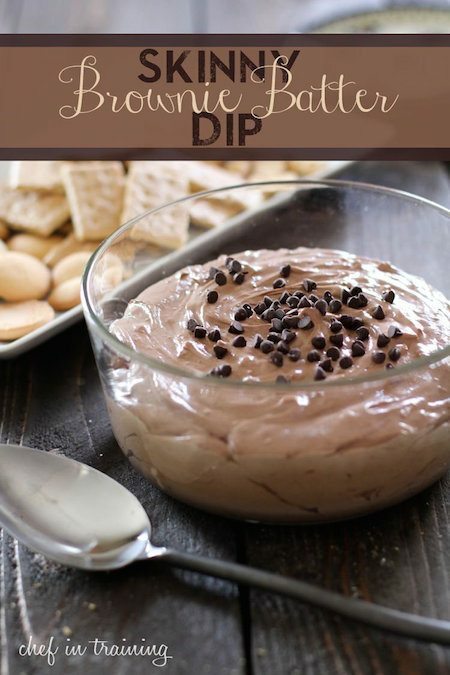 Skinny Chocolate Chip Cannoli Dip – I could stuff my face with this right now. Luckily, it’s a skinny dessert, so it wouldn’t even be a bad thing if I did! 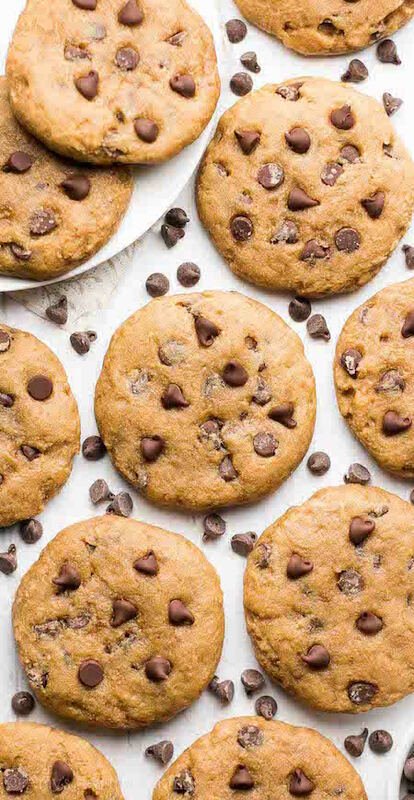 Skinny Banana Chocolate Chip Cookies – I’m a sucker for banana recipes. I love that it helps drop those cals when you use them! 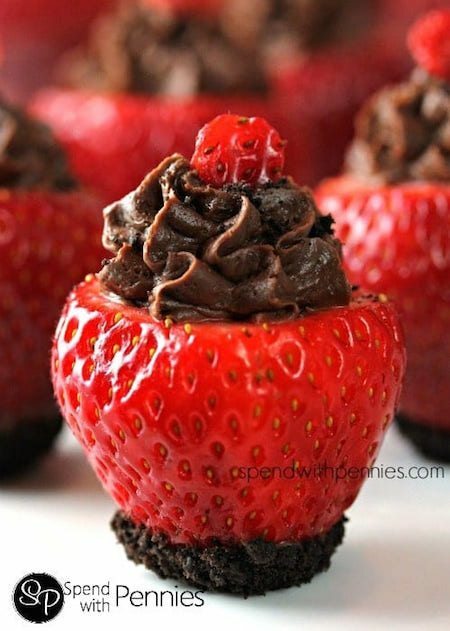 Chocolate Cheesecake Stuffed Strawberries – The main ingredient in strawberries…so it can’t be that bad for you, right?! 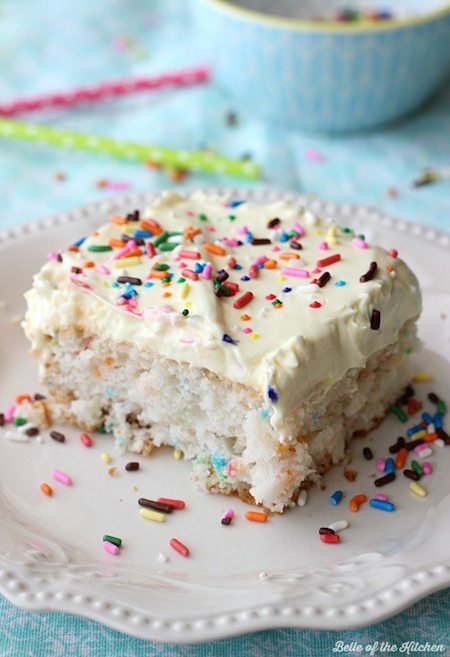 Skinny Funfetti Cake – Umm, this needs to happen. I am a huge funfetti fan! 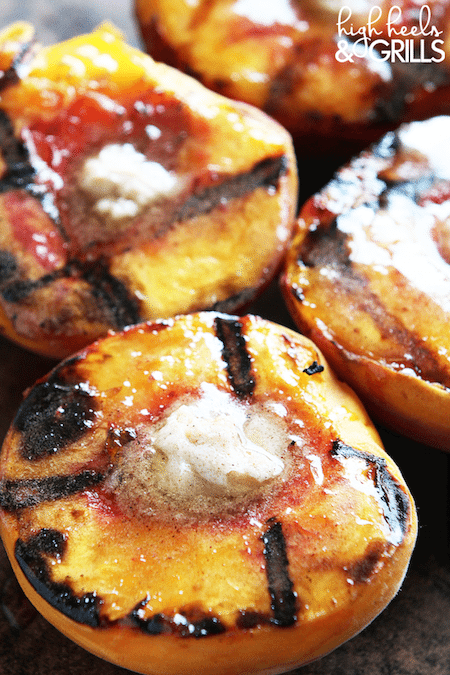 Cinnamon Sugar Grilled Peaches – One of my favorite summer dessert recipes! 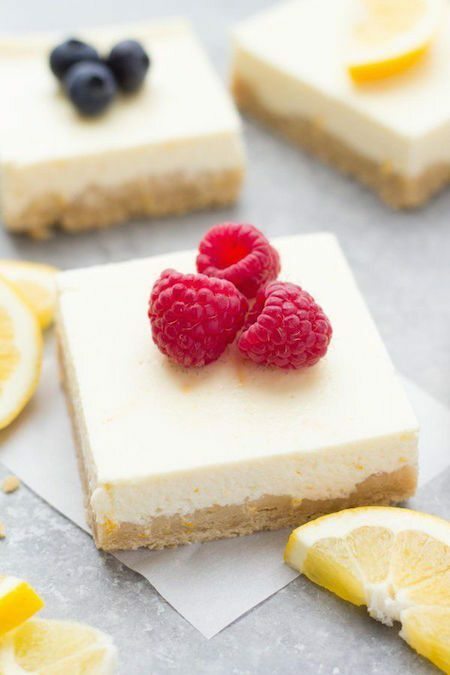 Skinny Lemon Greek Yogurt Cheesecake Bars – These look so light and refreshing! 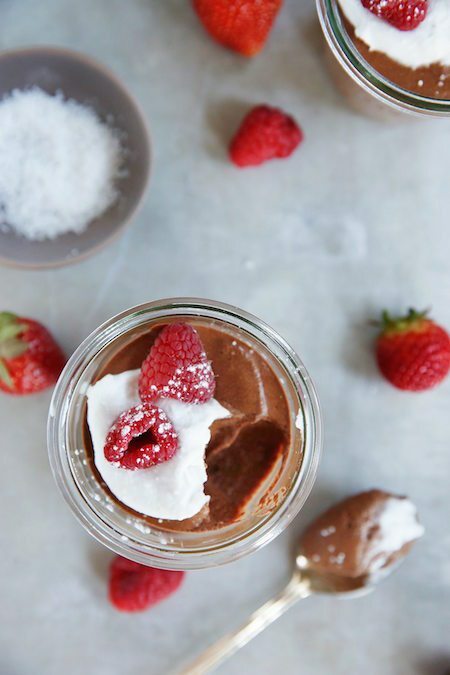 Skinny Chocolate Mousse – I could go for a few finger swipes of this right now. 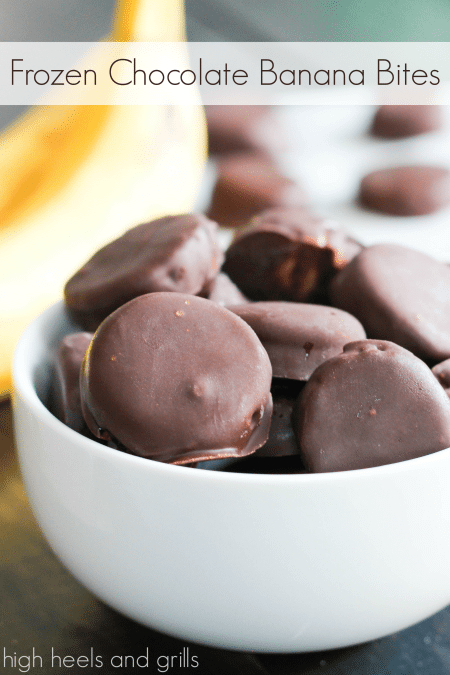 Frozen Chocolate Banana Bites – These are really easy to throw together and they give you your chocolate fix, without having to go all out. The frozen aspect really makes them! Skinny Better than Anything Cake – I’ve waited my whole life for a skinny version of this cake and I’m so glad it’s here! 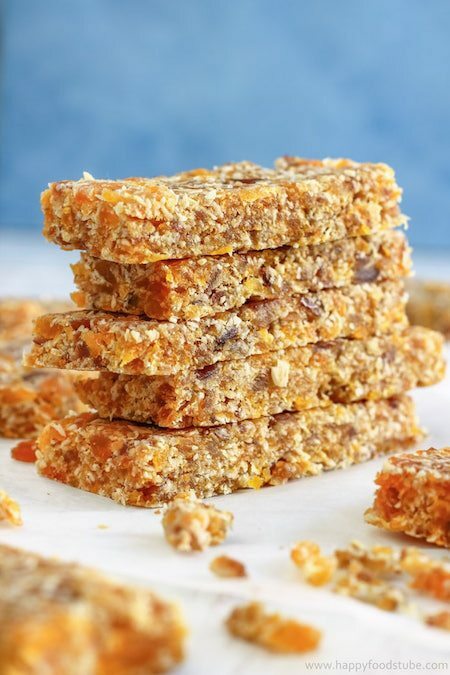 Fruity No Bake Energy Bars – Just in case you are craving something sweet, but not necessarily a dessert. 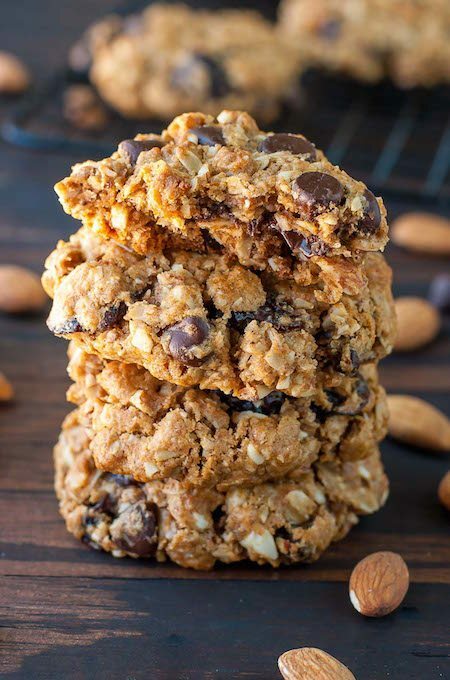 Skinny Chocolate Cherry Oatmeal Cookies – These are packed full of so much goodness! 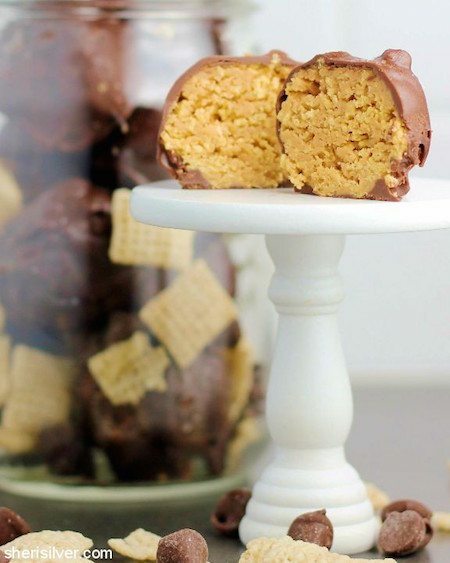 Skinny Peanut Butter Chex Bites – Just looking at these, I know they will become an easy favorite! 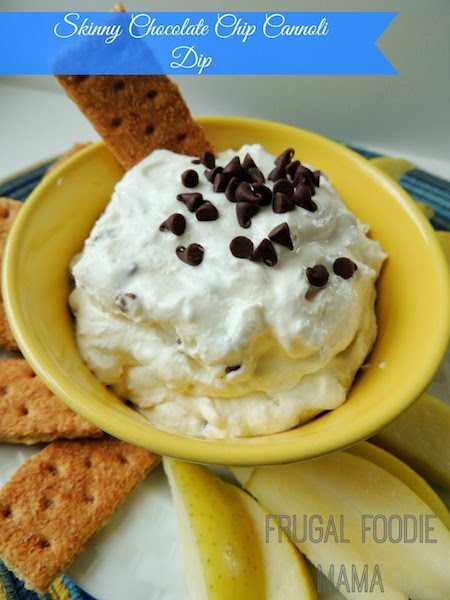 Skinny 2 Ingredient Fruit Dip – This is a great way to get your fruits in for the day! 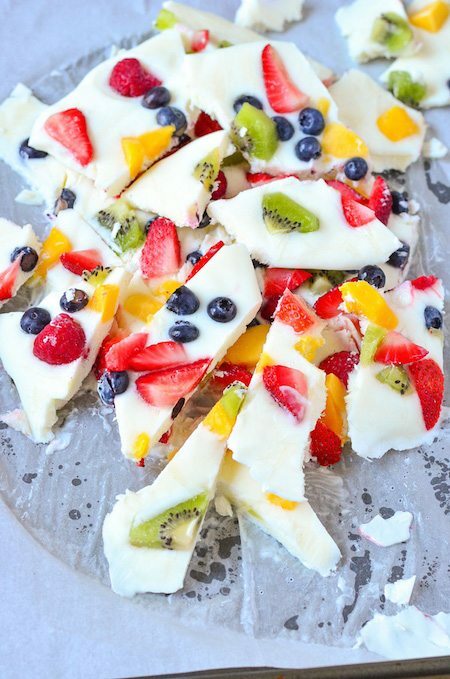 Frozen Yogurt and Fruit Bark – Such a healthy option, but in such a fun form! Skinny Wendy’s Frosty Copycat – It’s impossible to say no to a Wendy’s Frosty, but a Skinny Wendy’s Frosty?? Yep. That’s happening. 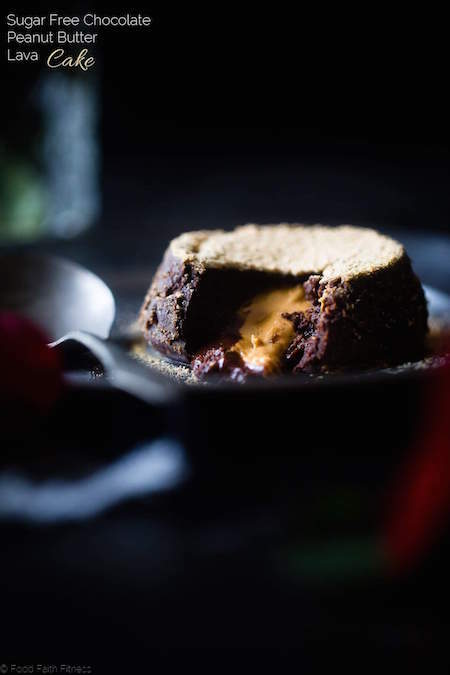 Skinny Chocolate Peanut Butter Lava Cake – I can almost taste the peanut butter just by looking at this photo. 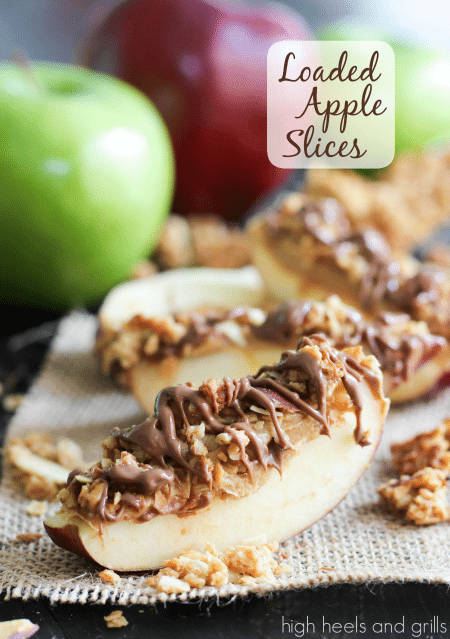 Loaded Apple Slices – One of my favorite sweet, high protein, and delicious snacks. 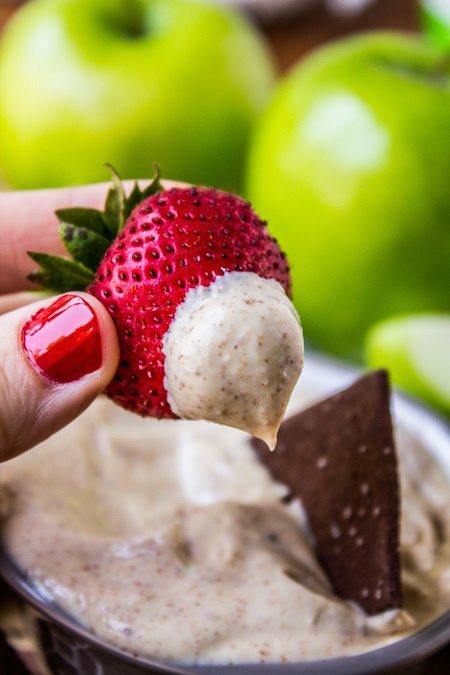 Brownie Batter Dip – I’m pretty sure the majority of people’s dreams are made up of being able to eat brownie batter, without packing on the pounds. 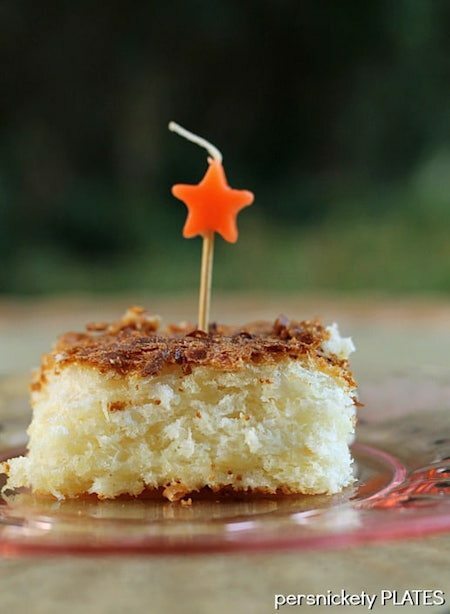 Skinny Pineapple Coconut Cake – A skinny pina colada in cake form…sounds like my kind of dessert! 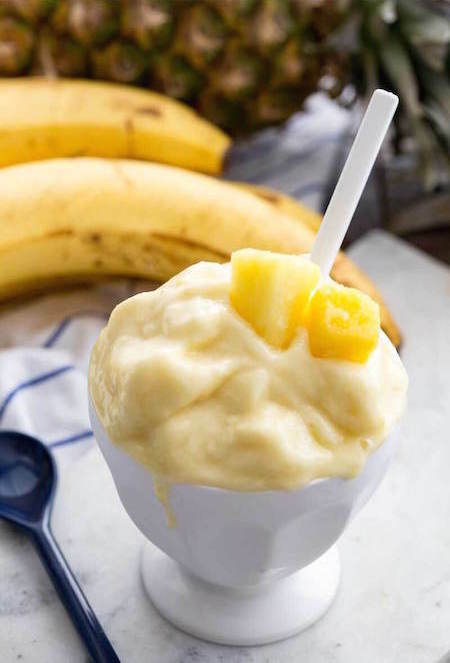 Skinny Dole Pineapple Whips – I want a huge spoonful of this melty goodness! Looks just as good as the ones at Disneyland. 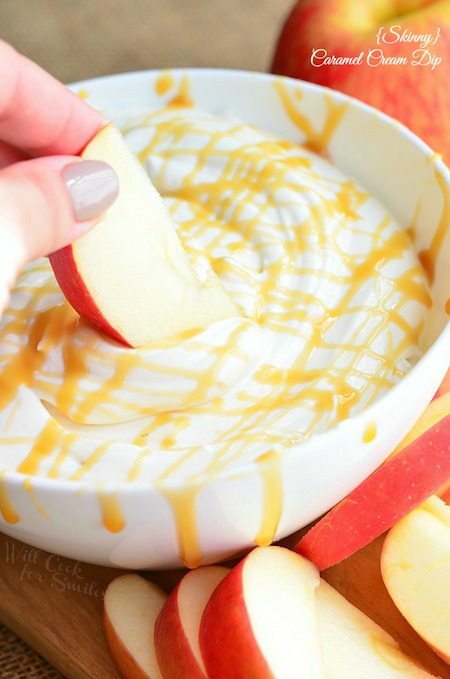 Skinny Caramel Cream Dip – Because I love caramel. And because it looks delicious. 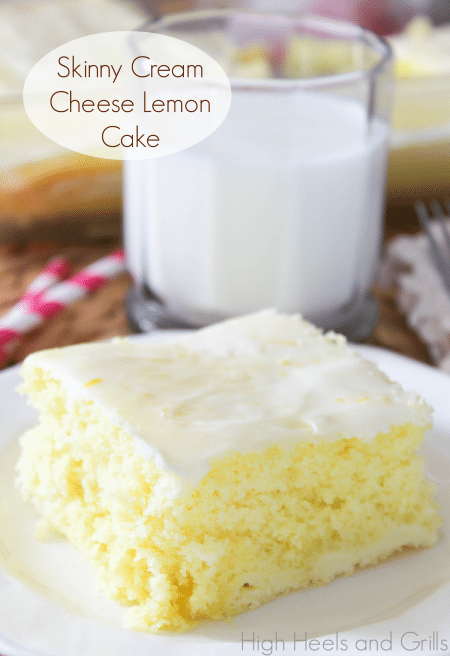 Skinny Cream Cheese Lemon Cake – I can vouch for this cake – it’s amazing. You’ll love it. 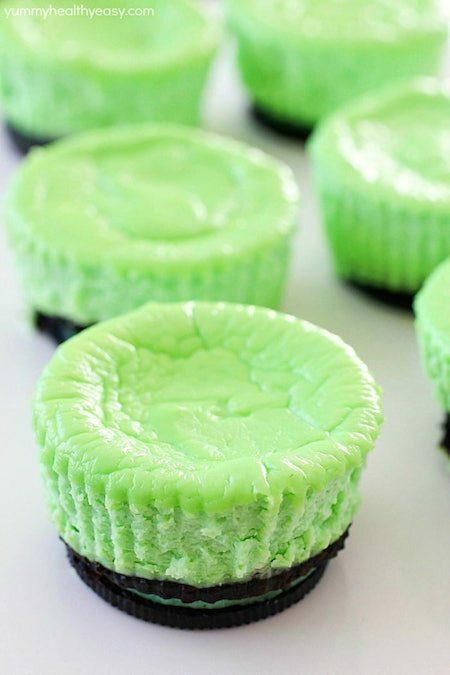 Skinny Mini Mint Cheesecakes – For when you need some chocolatey mint goodness, without all of the calories. 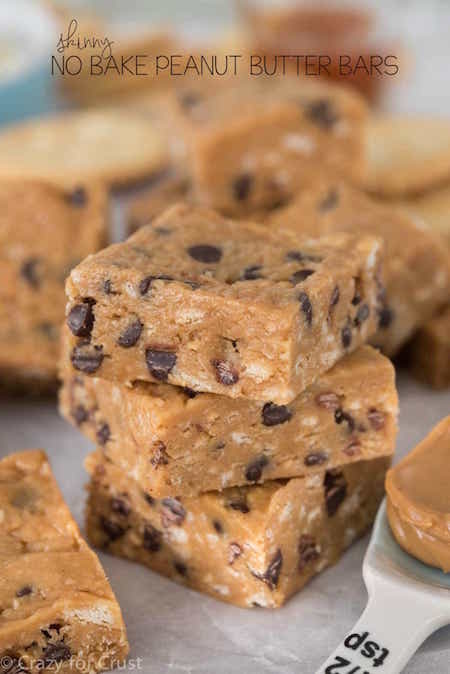 Skinny No Bake Peanut Butter Bars -These look easy enough to make and good enough to eat. 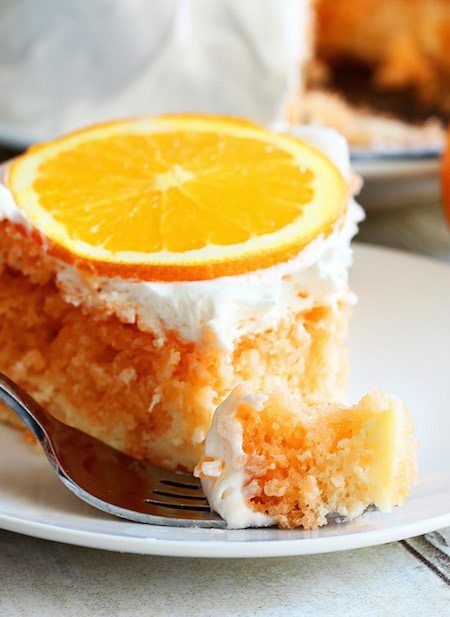 Skinny Orange Dreamsicle Cake – Just two ingredients for the cake and it all really does come together like a dream! 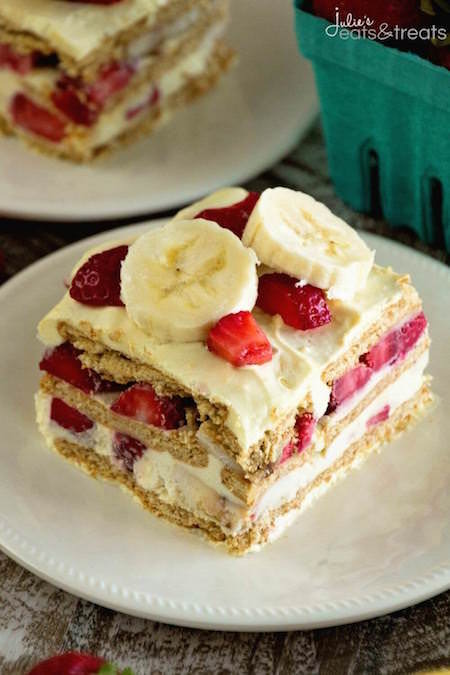 Skinny Strawberry Banana Ice Box Cake – This combo looks mouth-watering! 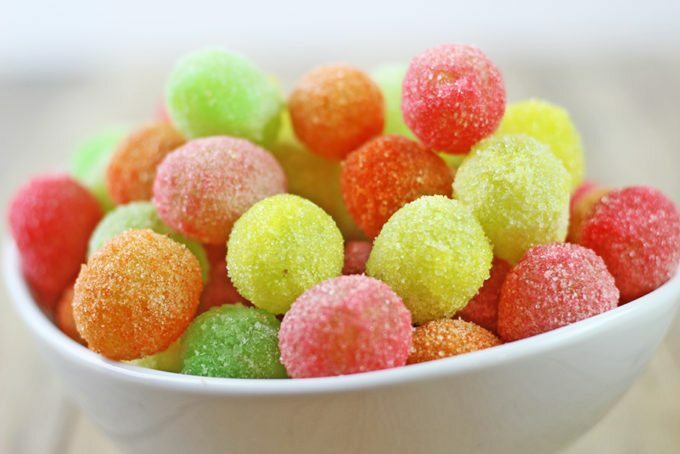 Sour Patch Grapes – Maybe this will help solve my unhealthy Sour Patch Kids addiction. 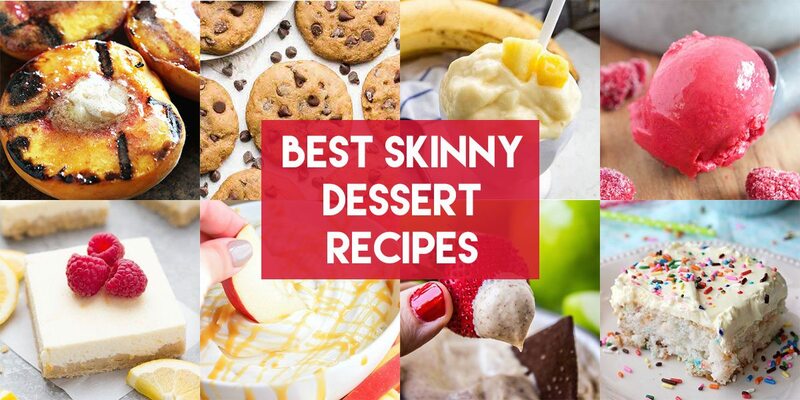 I hope you enjoyed this roundup of the Best Skinny Dessert Recipes!